Wandering around Mariposa in the early morning l came across this blooming wisteria. Since I am always in search of how light falls on the form I am also looking for patterns to help make my compositions more interesting. 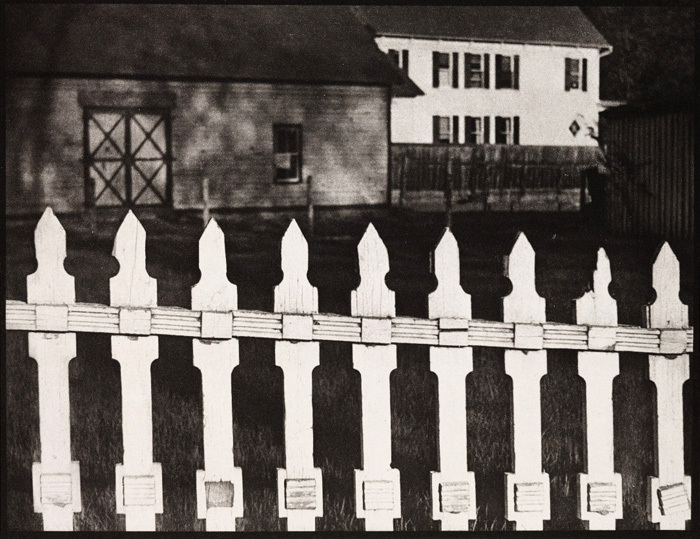 The fence pattern reminded me of an Iconic Image in American Photography I saw in 1998,that was taken in 1916 by artist Paul Strand. I love to travel because it can remind me of places I've already explored.